Pictures from the conference and photo corner. Download your personal memories! All 15 speakers and the robot "Myon"
You may check out all photos including our last events on our TEDxDresden Flickr page or interactive gallery below. 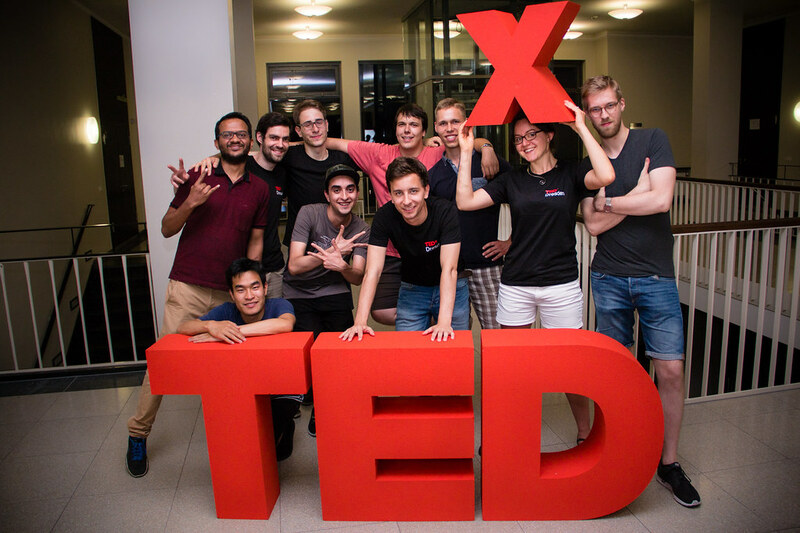 We thank our great photographers Amac Garbe and TEDx team members Joseph Choi as well as Mandy Pearson for their support and wonderful photos. A photo with Myon? A group picture with the red X in your hand? Download your memory in high resolution on your computer or phone. Find your picture below and select it. Click right or tap and hold the image and select "Save image". You want to keep your photo to yourself? Write us a short message and we will take your image offline. All further publishing or use of the pictures is prohibited. Image rights belong to the people in the image. | Photographer: David Guo.